“You don’t need a PC, smart TV or any other hardware to connect your camera. All the elements are built into the TV Cam HD,” said Glen Kuo, product marketing manager at Logitech, in a video posted by Logitech on YouTube. 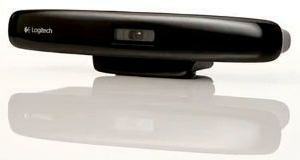 The webcam also operates like a Skype telephone, and has a ringer that buzzes when somebody calls. Users can take calls even when the TV isn’t on, and the webcam has four microphones to improve audio quality. The webcam needs to remain powered on to receive calls and has its own power supply. Similar webcams are already available in Skype’s online store. One brand, the $224 Tely HD from Tely Labs, works with all TVs, while the other models will only work with TVs of a specific brand.